Environmentally Speaking | TELLING IT LIKE IT IS ! The revelations have been nothing short of jaw dropping. Dozens – yes dozens – of claims made in the IPCC 2007 report on climate change that was supposed to represent the “consensus” of 2500 of the world’s climate scientists have been shown to be bogus, or faulty, or not properly vetted, or simply pulled out of thin air. We know this because newspapers in Great Britain are doing their job; vetting the 2007 report item by item, coming up with shocking news about global warming claims that formed the basis of argument by climate change advocates who were pressuring the US and western industrialized democracies to transfer trillions of dollars in wealth to the third world and cede sovereignty to the UN. Dr North next uncovered “Amazongate”. The IPCC made a prominent claim in its 2007 report, again citing the WWF as its authority, that climate change could endanger “up to 40 per cent” of the Amazon rainforest – as iconic to warmists as those Himalayan glaciers and polar bears. This WWF report, it turned out, was co-authored by Andy Rowell, an anti-smoking and food safety campaigner who has worked for WWF and Greenpeace, and contributed pieces to Britain’s two most committed environmentalist newspapers. Rowell and his co-author claimed their findings were based on an article in Nature. But the focus of that piece, it emerges, was not global warming at all but the effects of logging. A Canadian analyst has identified more than 20 passages in the IPCC’s report which cite similarly non-peer-reviewed WWF or Greenpeace reports as their authority, and other researchers have been uncovering a host of similarly dubious claims and attributions all through the report. These range from groundless allegations about the increased frequency of “extreme weather events” such as hurricanes, droughts and heatwaves, to a headline claim that global warming would put billions of people at the mercy of water shortages – when the study cited as its authority indicated exactly the opposite, that rising temperatures could increase the supply of water. This is a great story. It has everything a media outlet could desire; scandal, conflict of interest (IPCC head Pauchuri runs companies that benefited from climate scare stories), government cover ups – why then, has this unraveling of the basis of climate science that posited catastrophic man made warming not been making any news at all in the United States? It’s too easy to simply claim “bias.” Media outlets don’t pass up juicy stories that could potentially increase their readership and revenue for ideological purposes (except the New York Times – and even they could spin all of this to show skeptics to be using flawed arguments like the liberal Guardian is doing in England). Perhaps it’s time to ask why this story being revealed overseas with new revelations almost daily in the Daily Mail, the Telegraph, the Timesonline, and other Fleet Street publications can’t get any traction here. Blogs like Watts up with That and Climate Depot are keeping us informed of the latest from England but we hear crickets chirping when it comes to stories from major newspapers and – outside of Fox News – the cable nets. As global warming the political movement is losing its scientific justification, the American people – who will be asked to foot the bill to the tune of trillions of dollars if Obama goes ahead with his “green” plans – are grossly uninformed about the state of the debate. Until the media starts to give this story the coverage it deserves, that state of affairs will not change. TIME TO BURY THE MAN-CAUSED GLOBAL WARMING THEORY ! The dam broke with Climategate when hacked e-mails from the University of East Anglia’s Climatic Research Unit revealed that global warming advocates had for years attempted to hide conflicting data and silence their professional critics. British authorities have determined that the university broke freedom-of-information laws by denying information to scientists seeking to check claims that global warming was caused by human activity. Evidence is emerging that the data had been rigged all along. Russian analysts noted that British temperature calculations excluded data from 40% of Russian territory, much of which showed no increase in temperature in the past 50 years. The U.S. National Oceanic and Atmospheric Administration also cherry-picked data, cutting Canadian data sources from 600 to 35 and relying on only one monitor for all of Canada above the Arctic Circle. This was done even though Canada operates 1,400 weather stations, 100 of which are in the Arctic. Climate scientists have to come to grips with some highly inconvenient truths. World temperatures continue to decline as carbon emissions increase. Chilly Scotland is facing its coldest winter in a century. Arctic sea ice is not vanishing. Polar bears are experiencing a baby boom. Water vapor appears to play as important a role in the climate as carbon emissions. Sunspot activity may be more important than both combined. Meanwhile, climate change fanatics seek to blame capitalism and productivity for global warming, global cooling, too much snow, not enough snow, hurricanes, tornadoes and even the Haiti earthquake. The increasingly discredited theory of carbon-based, man-caused global warming needs to be discarded, and the scientists who sought to squelch skeptics and artificially inflate their own reputations must be disciplined. This deception needs to cease as does the teaching and indoctrination of it in schools, universities, and society. Too many lies are being taught by ideologues without proof. Yes, we need to be good stewards of the earth but not worship it. Natural resources were given to humankind to utilize and manage for their benefit. The more efficiently this is accomplished, and wisdom we use in that accomplishment, the better it will be. There is always room for more technologies that will help this happen. THE GREEN POLICE AT THE SUPERBOWL ! When the “Green Police” commercial came on during the Super Bowl, I was at first distracted. As the commercial wore on, however, it seems the commercial is an attempt at humor from Audi, which can be taken one of two ways. Way #1: Audi is as fed up as most of us with the legalistic approach of government-worshippers who want to enforce responsible behavior through the power of the state. In a good stab at such misguided beliefs, Audi basically tried to sell an awesome car to people fed up with getting in trouble with the viciously politically correct. I am okay with this view, though the imagery was still very scary. Way #2: Audi agreed with the stance that would require governmentally enforced global eco-wackoism and thought it was funny to poke fun at people who don’t share the extreme “granola” viewpoint. Obviously, the commercial was so controversial because it rang close to the truth. Many of us share the viewpoint that ecological hysteria is being used to increase statist’s power at the expense of individual freedom. Just like wars, if a government can get people freaked out enough (i.e. the world is coming to an end, we will be nuked in five minutes, the earth is going to overheat, the polar ice-caps are melting, global warming, and now, the ever-flexible “climate change”-allowing people to freak out when temperatures trend in either direction) then they can justify taking emergency, draconian measures to enforce their “protection.” It used to be that this protection was from enemies in war. Now the protection is against ourselves and neighbors who dare to flush their toilets a bit too often. Why? … because the loss of individual freedom will kill everything else. The parasite in totalitarian government always ends up killing its host (usually millions at a time). But there is another tragedy, too. It is the tragedy that will certainly befall our environment if the extremists succeed in giving something like the Green Police the power the commercial showed us. What some don’t seem to understand is that totalitarian, tyrannical, communistic, socialistic governments have a very consistent track record of being the worst polluters. For those of us who truly enjoy nature and care about passing a clean, well-cared-for planet on to our grandchildren, and who also realize that the private sector is more effective at administering nearly anything when compared to pervasive governments, the issue is a hot one. There is no way a statist power of even the most invasive kind can effectively control the behavior of 6 billion people. It is up to individual responsibility and stewardship. This has always been accomplished best through community activism, social norms, private enterprise, proper incentives aligned to reinforce the correct behavior, and the like. None of these are perfect, and we have a long way to go, (if only all the effort toward empowering government toward this end were being used to empower the private sector) but, rest assured, they will far surpass the efforts of any government to make a difference, and, they come with the additional benefit of individual freedom instead of its opposite. Government is like a sledge hammer. It is only good at one thing, and the use of a sledgehammer is obvious. However, when you are a sledgehammer, every problem tends to look like a cinder block in need of smashing. A sledgehammer can be used to cut a board in half, but it will do a messy and destructive job of it. (Don’t even get me started on how the sledgehammer works on the economy!) The board may eventually be pulverized into two pieces, but not as effectively as it would have had the correct tool been used. The question isn’t whether or not we should be responsible stewards of planet earth. Of course we should. The question is rather which tool is most appropriate to bring about the most effective results. History is clear that individual initiative and the private sector properly incentivized are consistently far superior to the government sledgehammer. The people who don’t believe this don’t read history, I guess, or haven’t traveled enough to third world countries. Or maybe, just maybe, they simply want the power and prestige governmental decree in service to a worthy political correctness can bring. When Barack Obama launched his presidency, he pledged to “build a more hopeful America.” On the campaign trail he promised to do away with Washington politics as usual. But in the first six months of his term, Obama has indulged in a breath-taking campaign of nepotism, self-dealing, back-scratching, corporate lobbying, government favors, entrenched incumbency, and hypocrisy. Obama’s government is not exactly the change people were hoping for. In her devastating exposé, Culture of Corruption, bestselling author and investigative reporter Michelle Malkin cites example after example of Team Obama’s corrupt dealings and abuses of power. Malkin shows how Obama has hand-picked a team that will do his dirty work for him and exposes dozens of corrupt dealings—all of which the liberal media would rather keep hidden. From power broker Rahm Emanuel, to pay-to-play tainted Michelle Obama and Joe Biden, to ethically challenged Tim Geithner, to crime-coddling corporate lawyer Eric Holder, Obama’s cabinet is all about increased government power and very little about helping Americans get ahead. Culture of Corruption proves that this is the government of the crony, by the lobbyist, and for the well-heeled. Obama lacks the will to change Washington politics, and Culture of Corruption reveals what his agenda will mean for his presidency—and America. REPORT CHALLENGES GLOBAL-WARMING ALARMISM ! An authoritative new book draws on thousands of peer-reviewed research papers and books, plus additional scientific research, as it challenges popular concerns that global warming is either man-made or would have harmful effects. 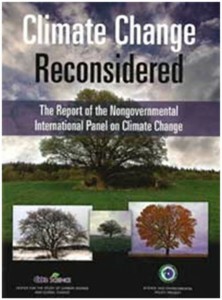 The hefty “Climate Change Reconsidered: The 2009 Report of the Nongovernmental International Panel on Climate Change” weighs in at more than 4 pounds, and is available free online. Planet Earth is actually in a cooling cycle … except around Washington where the hot air of a fake crises so Gore and his “the sky is falling” cronies who stand to make huge profits are heating up the rhetoric. All this, of course, on the backs of Americans in the form of MORE TAXES after the many promises of “no new taxes” from Obama. In the last week of June, the House of Representatives passed a bill intended to reduce greenhouse gas emissions 17% by 2020 and 83% by 2050. The politics of what used to be called “global warming,” and now labeled “climate change,” isn’t limited to Capitol Hill. A recent article in the Wall Street Journal tells us, at the same time that the House was debating its bill, other countries were having second thoughts about their already enacted measures. The Polish Academy of Sciences, for one, has publicly challenged the science behind man-made global warming. And only 11% of Czech citizens believe that human activity contributes to the measured rise in temperatures. Even New Zealand, rightly regarded as an ecological wonderland, suspended its emissions-reduction program. Then there’s Australia. Earlier this year, the government submitted its proposal to limit CO2 emissions. Given the potential costs and the prospect of, as some Australian commentators put it, “carbon cops” knocking on people’s doors, Australian senator Steve Fielding asked the obvious question: Is this necessary? Fielding, an engineer, was concerned that the government had accepted “one scientific explanation for climate change at face value” without looking at all the data … the scientific data and scientists that didn’t agree with what has been stated. Just like our EPA and government has done. So he examined the science himself, including asking the Obama administration to address his concerns about the science. While the administration didn’t respond to his request, what Fielding learned persuaded him not to support the proposal. He realized that those in the EPA and others would risk job losses for not following the party line. Even if some of the “green science” were convincing, there are good reasons to be skeptical about the approach being debated in Congress. Columnist David Brooks spoke for many when he called the bill “a morass of corporate giveaways.” No one knows what effect it will have on CO2 emissions. A similar European effort failed and actually was followed by a rise in emissions. Then there’s the elephant in the room: China. China is building two coal-fired power plants every week. It’s estimated that, within 20 years, China’s CO2 emissions will be equal to the entire world’s today. Other developing countries are following China’s lead. Even the European Union is increasing its use of coal. As any one of these alone would overwhelm American reductions, together they make the House vote seem almost perverse. A massive transfer of wealth from ordinary Americans to favored industries in furtherance of a policy that won’t work in response to a “crisis” whose scientific basis is far from proven. What am I missing here? Would-be technocrats whose goal is to manage and shape our society are working hand in hand with those who would profit from their efforts. They insist that the global warming debate is “over” and compare those who disagree, or even ask questions, to Holocaust deniers. Outrageous? Sure. Surprising? Not really look who is in office. What do they do when their argument is unconvincing … they take away more of your freedoms … because they have the power to do so! LISTEN AMERICA … CAP-AND-TRADE IS A DISASTER ! A European filmmaker is warning the U.S. about the disastrous cost of cap and trade. The U.S. House last week passed the Waxman-Markey Energy Bill, otherwise known as “cap and trade.” This legislation seeks to limit the emission of carbon dioxide. Carbon dioxide that the EPA is trying to control but alas have a scandal in that area as they try to hide conflicting reports so that only the Democrat politically approved version gets through. Opponents of the measure argued that implementation of cap and trade would destroy the American economy and dramatically increase energy costs for the average American – something then-presidential candidate Barack Obama stated clearly while on the campaign trail in late 2008. “Under my plan of a cap-and-trade system, electricity rates would necessarily skyrocket…regardless of what I say about whether coal is good or bad – because I’m capping green house gases..,.” Obama said. This, is good for the economy, people and jobs? Documentary film producer and director Ann McElhinney is perplexed at the recent passage of cap and trade. Her latest film, Not Evil Just Wrong, takes an in-depth look at how environmental policy can do more harm than good. She sees some irony in the effect of the Kyoto Protocol – an international environmental treaty the U.S. has symbolically signed but never ratified. “Countries in Europe that signed up to Kyoto, which is our equivalent of this cap and trade, …have seen a loss in jobs – and funny enough they’ve lost jobs to America,” she observes, “because they can’t compete, because it immediately affects how much electricity costs to people.” So now we are going to push jobs away? 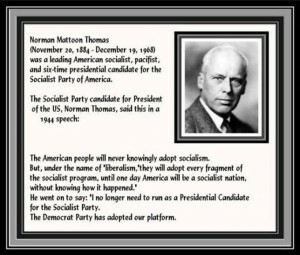 It will be the same for America unless we throw it out!